When in 2010 Abbot Ludovic Berthin Kpefio Mbana Passanguere, a Catholic, left his country, the Central African Republic, to study Islamic Studies in Mali, people were surprised by his choice. However, he wanted to acquire objective knowledge about Islam, and to learn how to conduct interreligious dialogue. He believed that knowing the Other would aid in dialogue, and help to avoid apprehension and misconceptions. “(People) couldn’t believe it, since the communities coexisted peacefully. But as soon as conflict arose in 2013, I was asked by both sides (Christians and Muslims) to make presentations, and organize workshops and conferences on interreligious dialogue”, the 39 year old 2018 alumnus of the KAICIID Africa Fellows programme recalls. Abbot Kpefio worked in two churches located in PK5, Bangui’s Muslim enclave, which has been the epicentre of many attacks in the recent conflict. In 2008 and 2011 he served as parish priest of Saint Mathias de Mulumba and from 2011 to 2014, he served as parish priest of Saint Michel de Bazanga, just 800 metres from Bangui’s central mosque. He was appointed head of the Interreligious Dialogue Commission of the Archdiocese of Bangui in 2011 and since then has led a team of two priests, two nuns and two lay people offering training sessions on topics related to Islam and interreligious dialogue. He is currently also National Director of Catholic Works Bangui, Director of the Saint John XXIII Center, Secretary of the Episcopal Commission for the Apostolate of the Laity and National Chaplain of the Fraternity of Saint Joseph. Abbot Kpefio was at the Our Lady of Fatima Church on May 1, 2018, when an attack left 15 people dead, including a priest, Abbot Albert Tungumale Baba, and wounded many others. As fears of a new wave of violence take hold in the Central African Republic, Abbot Kpefio shares his story, describing the horror of the attack but also expressing hope for what his fellow citizens can achieve through dialogue for reconciliation. What do you recall from the May 1 attack? I went to the parish of Our Lady of Fatima to celebrate with the members of the Fraternity of Saint Joseph the renewal of their votes and commitment as members of the Fraternity. There were more than 400 promisors and more than 2,000 attendants, for a total of around 3,000 people. The Eucharistic celebration began in serenity at 9:25 am. Two hours later, the shots rang out. The Christian community was initially panicked. Then, the parish priest took the microphone, calling for calm. That worked for a moment, but the gunfire continued. Given the presence of terrorists behind the church fence, I urged the principal celebrant to stop the singers and the Eucharistic celebration because we were in mortal danger. I stood up and asked all the priests to leave the altar immediately. We decided to evacuate the altar of liturgical dancers, who were mainly girls aged 6 to 10 years. They left the altar under the rain of bullets to go to the parish presbytery. We then went to the Vicar’s office to call for security forces. What were the reasons behind this attack? The terrorists were directly targeting the Catholic Christian community in prayer. Given the two hour duration of the attack, and the use of small arms, heavy weapons and grenades, one can see that the attack was painstakingly prepared. The express intention of these terrorists was to kill as many people as possible. As if this was not enough, some terrorists had climbed into the mango trees growing outside the fence to murder the poor faithful worshippers. Those were two hours of terror, carnage and sheer butchery. Bullets whistled on all sides, women and little girls fainted in fear. It was an abomination. Exploding grenades took off both legs of a woman breastfeeding her child, they shredded and killed three other people. A disabled woman was hit by bullets in her right leg and could not move, and when Abbot Albert Tungumale Baba reached out to help her, he was shot and fell dead. People fled on all sides. It was madness. But God spared many human lives and inspired young people on the spot to break the wall on the side of the fence and evacuate many people, including people suffering multiple wounds. Four years ago, the same church was also targeted and a priest was among the 18 killed. Why has this church been repeatedly attacked? It is important to clarify that the contexts were diametrically opposed. In May 2014, the attack targeted internally displaced persons who had taken refuge in the courtyard of the Fatima church. 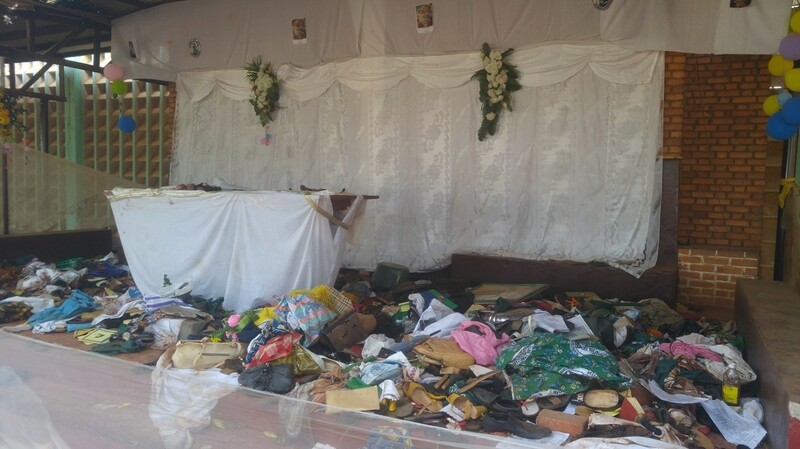 But on 1 May 2018, the attack targeted the Catholic Christian community, specifically the members of the Archdiocese of Bangui’s Saint Joseph Fraternity, some of whom were renewing their vows. The place and the perpetrators of the carnage are the same, while the victims and the circumstances are different. 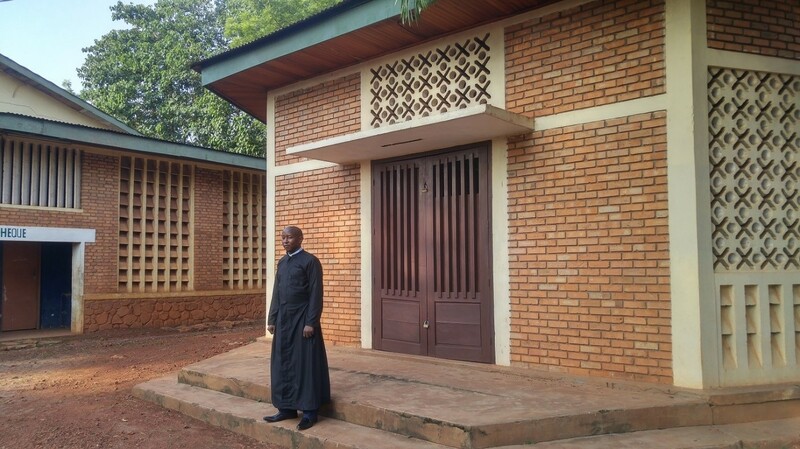 In 2014, Father Emile Nzale was passing by when the attack began and he found refuge in the parish courtyard. The attackers came to the parish yard to kill people, and being old, and unable to run or climb the parish wall, he was shot dead with the other victims. This time, Abbot Albert Tungumale Baba, who was parish priest of the Saint Mathias church in KM5, had come to concelebrate the Eucharist and take part in the ceremonies of promise of Saint Joseph of which he was a former chaplain. When the terrorists arrived, they did not enter the church’s courtyard, but shot at us from afar and killed many people. What is the current situation of the parish? Although the church is destroyed, religious services are still being held and Cardinal Nzapalainga has encouraged the priests to continue their pastoral activities in these difficult times. The current situation is a difficult one, because the priests are still dealing with the psychological shock and trauma of these tragic events. There is enormous damage to the infrastructure and this will need a colossal sum (of money) to repair. The priests still hold religious services despite the fact that the environment around the church is tense and menacing because of the mass displacement of the civilian population to other neighbourhoods. Cardinal Dieudonné (Nzapalainga) increased his visits to the community to encourage the priests to continue their pastoral activities in these difficult times. He motivates them to comfort the lay people and heal the wounds of the past so that they can overcome these hardships. This is a testament to the heroism of pastors who stay with their flock, and support them with their presence and spiritual guidance in times of need. Media reported that the attack triggered violence against mosques. What was the message to the parish community after the attack? Pope Francis called to "say no to violence and revenge to build peace", but how is it possible to avoid revenge? 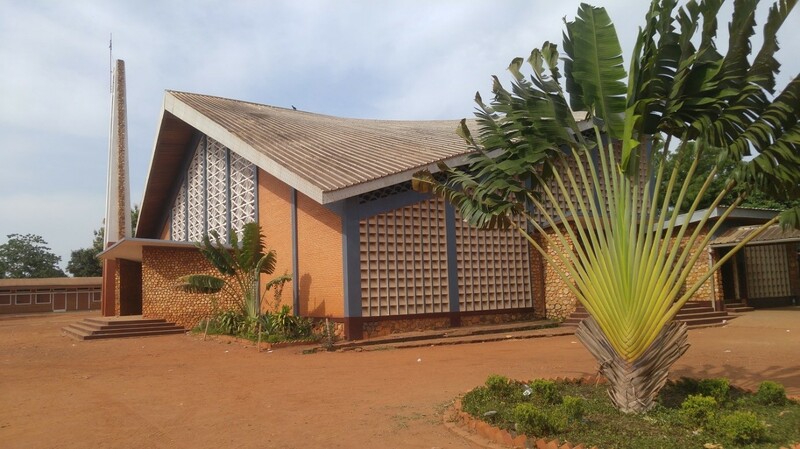 As soon as people learned that the church of Our Lady of Fatima was attacked by terrorists and that many people had been killed, including Abbot Albert Tungumale Baba, the crowd reacted with anger, damaging the Ngaragba Mosque, located in the 7th district of Bangui, and washing away into the river the building materials of the Lakouanga Mosque, located in the 2nd district of Bangui. But Cardinal Dieudonné’s appeals and exhortations for restraint and calm were heard by the people and the Christian community. However tensions do remain in the areas and neighbourhoods of the 3rd and 5th districts. Indeed, the goal of any religion is to contribute to and promote social cohesion and peaceful coexistence. This is a crucial time; for the moment, the majority of the Central African population has accepted and chosen the path of peace, and their decision has greatly contributed to the consolidation of peace and the cessation of violence. But the events of 1 May 2018 have deeply disconcerted the population. We, leaders of religious communities, must call our fellow believers to renounce the spirit of violence and revenge. Only living together in communities can bring us peace. Thus, messages of peace, tolerance, peaceful coexistence and forgiveness must be conveyed on our airwaves by confessional radios, homilies, sermons and preaching. In short, we are meant to live together, we have a common destiny and we cannot suppress, exclude or abolish any community. It is together, hand in hand, that we can build our country together. Abbot Albert Tungumale Baba is the second priest killed in Bangui in a month, during deliberate church attacks. What is your message to the perpetrators? What is your message to the families of the victims? It is a grave sin to kill a priest, because he is a bridge between men and God. The priest receives every man or woman, without distinction, and provides them human, social and spiritual guidance, helping them find solutions to their problems. The priest is a friend to everyone. He has no bias. Human life is sacred. This is stipulated in the preamble of several constitutions and laws. Also, the Bible, as well as the Koran, forbid us to kill a human being who is our fellow. It is imperative that we stop shedding blood. The justice of God is implacable. It is time to abandon the path of perdition in favour of the path of life which is love, tolerance, peace, living together, joy, charity, agreement. I offer my deepest condolences to the families of the victims. The Lord will wipe away their tears and heal their deep wounds. Revenge will only cause more death and we will start a cycle of violence again. It is a hard time, hard to digest and overcome, but the Lord will provide. How was your experience working in a KM5 parish? I served twice in KM5, in the parish of Saint Mathias Mulumba and in Saint Michel Bazanga. I had excellent relations with young Muslims, good neighbourly relations. They wanted to know what I did during the day as pastoral activities and I too wanted to know more about their lives and activities, especially religious, such as the Imam’s discourses during the Friday prayers. We had a very interesting exchange. When I was assigned to another parish, many young Muslims were discouraged and some even cried, but I returned to visit them and we had very happy times. The two churches were burned during the events of 2014 and 2015. They were relocated to neighbourhoods close to KM5 and they continue to celebrate masses and other religious services. Why do you think interreligious dialogue is important in your country? Interreligious dialogue is important in our country because it’s a crucial moment after the terrorist attack against the Fatima church. If nothing is done now, the numbers of the dead will only rise. It is urgent and imperative to take action through promoting awareness through the radio and to promote the consolidation of peace through the delivery of messages of peace, love and non-violence to disarm hearts and minds. Secondly, it is essential that religious leaders (Muslims, Protestants and Catholics) gather around the same table to prepare and develop together awareness campaigns and to have a single message: We want peaceful coexistence between all communities. Let us stop any spirit of vengeance and hatred that risks plunging us back into violence that does not benefit anyone. Because every person who dies is a Central African, and the country needs each of them for its social, human, cultural and economic recovery. Diversity is a wealth for our people and it remains a considerable asset for our peaceful coexistence. Ultimately, it is necessary to organize workshops, debates, trainings, and sessions on the theme of interreligious dialogue, and invite all religious communities (to participate). We cannot forget religious, public and private radio stations, so that the message can reach the entire population. As part of the KAICIID Fellows Programme, Abbot Kpefio has developed a project to train Catholic, Muslim and Protestant religious leaders in interreligious dialogue. He is aiming to promote interreligious dialogue to create ambassadors of social cohesion, but also to strengthen the permanent framework of interreligious dialogue in the country. The project aims to establish a bridge of peace and reconciliation between the Christian and Muslim communities as well as to reduce mistrust between the two. In addition to the training sessions that will take place at the end of June and individual work with the participants, his message will be shared through religious and mainstream local radio stations. 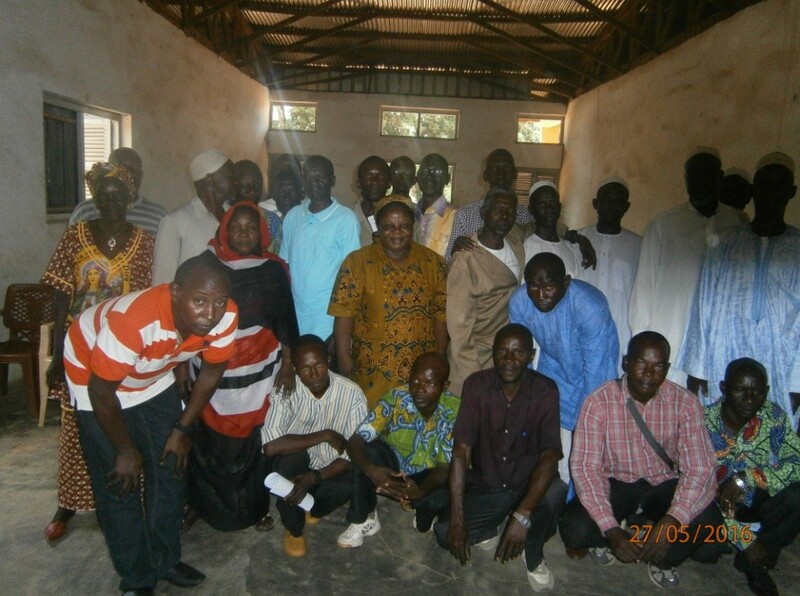 In the Central African Republic, the Centre supports an existing interreligious dialogue platform that contributes to the reduction of intercommunal tensions and the establishment of lasting peace. KAICIID has also been training religious leaders and civil society members on interreligious dialogue for peace and reconciliation. The Centre is also following up on the implementation of the Vienna Action Plan to promote interreligious dialogue, adopted in 2016 after three inter-and intra-religious meetings convened by KAICIID, and supported by representatives from the Muslim and Christian communities as well as various governments.